Marko Bucik looks at Sarkozy’s wise men group that was transformed into a reflection group. The signing of the Charter of Fundamental Rights caused some turmoil in the European Parliament. This is the Treaty of Lisbon. And here is a useful collection of papers and studies dealing with the new treaty. ISN Security Watch reports about a surprise court decision that the UN does not have legal immunity regarding the Srebrenica massacre. A new partnership between the Collective Security Treaty Organization (CSTO) and the Shanghai Cooperation Organization (SCO): “A counter-weight to what Russian politicians describe as the NATO-centric model of the world” ? And Public Policy Watch writes about: Moldovan Democracy: How Amazing Is It? ; the second part deals with the amazing Christmas tree story… On this note: Europe’s tallest Christmas tree can be found in Bucharest! The quiet, the loud and the hyperactive: Who is the best anti-European? 1. 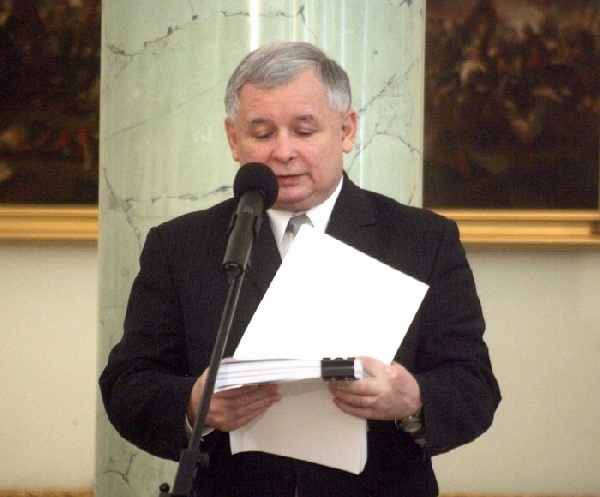 The “loud” Kaczyński. Even though Jaroslaw Kacyinski is not around anymore he left a legacy. He was the rather clumsy conservative nationalist that attacked the EU regularly with rather weird claims often related to Germany and WW II. However, his strategy was based on a anti-EU philosophy that is opposed to any further integration and the fear that “Brussels” would undermine his ‘moral revolution’. But his focus on rather symbolic issues (day against death penalty, social charter) as well as the historical references did not help to form sustainable alliances within the EU. His biggest victory was without doubt the EU summit in summer and his harsh negotiations tactics using the veto threat over and over again. Result: delay of decision-making reform in the new Treaty of Lisbon plus annoyed EU partners, but in terms of sustainability he was not successful: The new Polish government is trying to reverse things. Result: not too much….yet. Overall, Gordon Brown seems ignorant, indecisive, in a way unpredictable but for sure without any vision for the future of the EU. At least he avoided a referendum on the new EU treaty in the UK even though that could also be Blair’s merit. Everything else Brown did regarding the EU surely weakened his position in the UK and in Europe. 3. 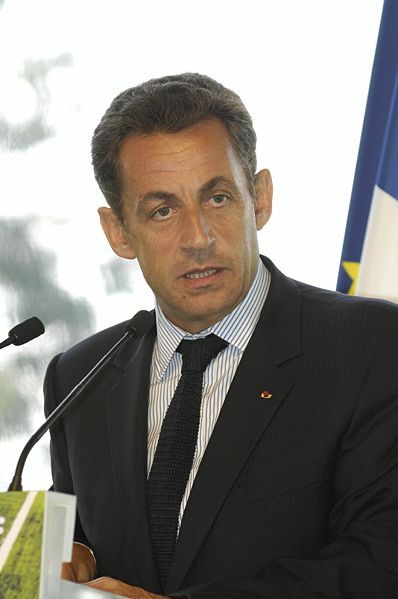 Nicolas Sarkozy, the “hyperactive” one . He seems to follow a subtle approach with occasional outbursts. The French president manages to portrait himself as a big reformer and a pragmatic realist who is in favor of an effective EU. Considering that he has been in office for only a few months, the list of EU initiatives is already quite long, most of his ideas are not well thought through and usually disappear after a few days: He (or other governmental officials) attacked the ECB and the Euro and demanded more political influence. He proposed the creation of a wise men group to debate the future borders of Europe (or how to keep Turkey outside). At every EU summit he managed to change some terminology but without any legal implications (first the ‘undistorted competition’ clause, now the Turkey “membership”). Sarkozy also seems to like foreign policy but does not care about any joint EU strategy: he invited Gaddafi to Paris, he congratulated Putin after the Duma elections, he surprised everyone with the idea of a Mediterranean union (as usual, nobody knows the details). He (and his ex-wife) also took the credit for the release of the nurses from a prison in Libya despite the deal that the EU had already negotiated. Probably I forgot half of his plans already….Anyway, so far he gets what he wants. The question is whether he also gets it when big decisions need to be made. Result: symbolic changes in EU terminology, a downgraded wise men group, and his European counterparts still hope that he calms down and learns to play the diplomatic game. Since Jarsolaw Kaczyński is out of government and Brown and Sarkozy have only been in power for a few month the question is whether we can expect any far reaching EU reforms from them. Will other leaders be strong enough to convince them in the future to make some important decisions? Or to put it more bluntly: Who do you think will be more successful in blocking EU decisions in the future?